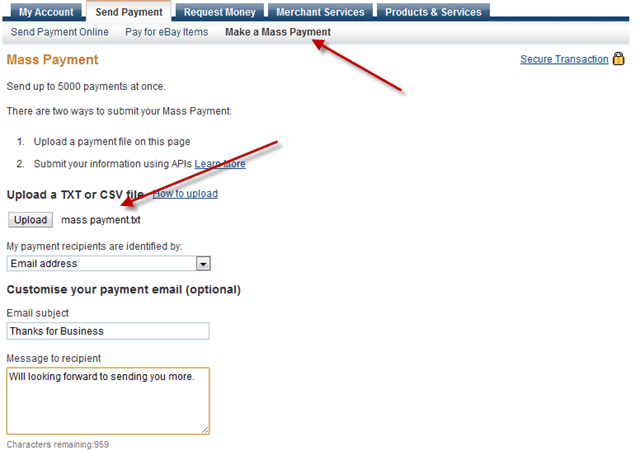 Paypal mass payment is a useful service from Paypal, which will let you send payment to many people at one go. If you are one those, who have to make lots of payment via Paypal at the end of the month, follow this guide and understand how you can send payment to multiple people at one go. If you are an affiliate marketer, you must be getting affiliate income every month. Have you ever thought how your affiliate company is sending money every month to thousands of affiliates using PayPal. If they will be sending individual Payment that will take lots of time. 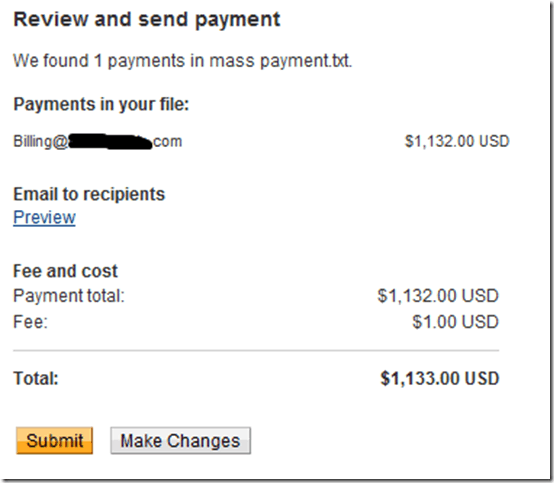 PayPal mass payment is the best way to send money to lots of people at one go. 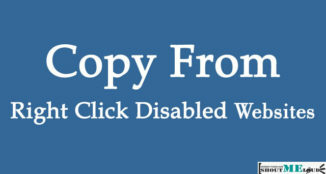 If you are an affiliate company and you sending money one by one, this tutorial is for you. 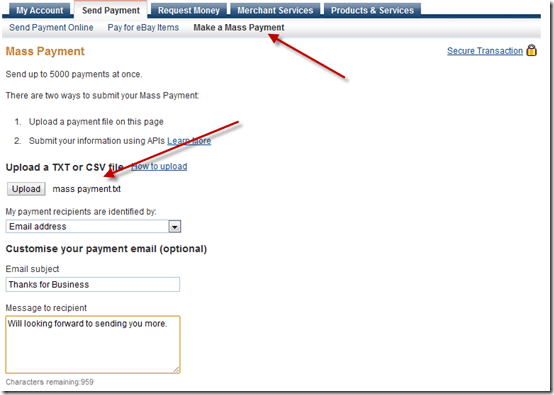 How to Use PayPal mass payment method? In order to send money using PayPal mass payment, you need to create a file (.txt or .csv file) and upload it and send money. You can read complete official guide for PayPal mass payment. Here is a detailed explanation of this feature and if you are still not sure how to use mass payment feature, let me know. This whole process is consist of 3 steps. Oh you should have enough fund in your account. Login to PayPal > Send payment > Make a mass payment. 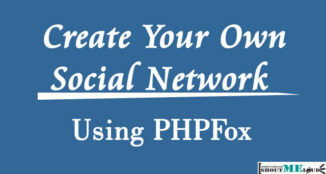 Upload the mass payment file you have created. Add custom message if you want to. Next step is to review every entry and once you have verified everything, click on submit. That’s it and your mass payment will be sent within moment. I hope this tutorial will help all those who are looking forward to send mass payment every month using PayPal. Sign up for PayPal (It’s free). If you find this tutorial helpful, don’t forget to give it a shout by tweeting and stumbling. i think freelancers and bloggers in India will find alternative to PayPal as it has made many restrictions..
Great Stuff, i didnt know this was possible. Nice that they tell users to write and send in a text files. It provides the user some time to think before they send some huge payments. Never knew about this feature. Great that you shared it. Thanks again. 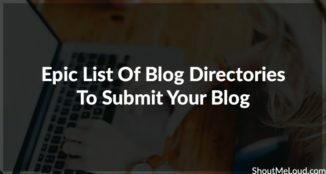 This is a great information for indian bloggers who actually want to receive money through paypal. Though i knew that now paypal will directly deposit this amount in your account and will not hold that amount. I think PayPal don’t allow India users for mass payment. Can anybody tell me that, What are the major differences of online money transfer between Pay Pal and other online International fund transfer sites like Transferwise, Transfergo, Azimo etc.